The history and legacy of the western United States involve more than just cowboys and covered wagons. Tangible pieces of our past lay within mixed-conifer forests that dot the region. Trees not only form a vital part of the contemporary western U.S. ecological system, but that of the future, as well. Unfortunately, deforestation and poor management have threatened the benefits and beauty of these natural resources. Author and OSU Professor Emeritus of Forestry John C. Tappeiner II joins us today to demonstrate the importance of analyzing and understanding silviculture, the study of forest growth and management. Tappeiner, along with three colleagues, is co-author of the recently released second edition of Silviculture and Ecology of Western U.S. Forests. Read on for a sneak peek at the text, introduced by Tappeiner’s commentary. This book focuses on the silviculture of western U.S. forests for two reasons. First, the authors’ careers were spent mainly in the forests of California, Oregon, Washington, and Arizona, with some brief forays into southeastern Alaska, Montana, the Lake states, New England, and the Southeast. Most of our research and practical forest management work was done in Douglas-fir, ponderosa pine, lodgepole pine, true fir, and Sierra Nevada and southern Oregon mixed-conifer forests. Therefore, many of the examples we use are derived from either firsthand experience or the experience of colleagues in these forests. However, many of the species and forest types that we discuss occur throughout the western U.S., so the principles that we develop are valuable to the silviculture of western forests. With the help of excellent reviews and by consulting the literature, we have included considerable information from the interior west. Therefore our work is of value throughout the West. The authors believe that silviculture can help resolve many of today’s forest management controversies. Frequently we hear debates about forest management that reach an impasse. We think that these impasses are least partially the result of an incomplete understanding of silviculture and forest growth and development. We hope that the ideas and information in our book will reduce the “sharp edges” and controversies in the forest management debate and lead to more informed, fruitful discussions. "Silvicultural systems are by their nature long-term. It is sobering to remember the length of time required for a forest stand to develop and mature. This process may span the careers of several forest managers and, in contemporary society, several changes in forest policy as well. A 50-yr-old stand is comparatively young by western forest standards. Thus foresters—and society at large—have only modest “control” over silvicultural systems and stand and forest development. It is wise to view silvicultural systems as “working hypotheses” of stand development, as Smith et al. (1997) suggest. Silvicultural systems will often have to be modified for several reasons. Natural events such as windthrow, insect and pathogen outbreaks, fire, and unexpected regeneration of trees or shrubs occur frequently and may alter stand density and species composition. Shifts in policy, markets for forest products, landowners’ need for income, and public attitudes often require reevaluation of, and changes to, systems. Furthermore, new information on silvicultural practices, plant biology, or forest ecology may provide new insights and reasons for modifying systems. "Given the inherent uncertainty in the enterprise of tending forests, we believe that one important principle is that a silvicultural system should preserve future options. An example is the shift in silvicultural theory and practice in response to an outbreak of Swiss needle cast disease (Phaeocryptopus gaeumannii) on thousands of acres of Douglas-fir in northwestern Oregon. Stands with mixtures of western hemlock and other species may come through the episode better than pure stands of Douglas-fir; these other species probably do not retard the spread of the disease, but if they are present they can replace Douglas-fir killed or damaged by it. Silviculturists who worked to produce pure Douglas-fir stands for economic efficiency and high yield are consequently reevaluating that practice on sites where needle cast is common As a result, in disease-prone stands where western redcedar, red alder, and western hemlock can grow, managers may either plant these species along with Douglas-fir or favor them where they regenerate naturally. The outcome in terms of species composition, wildlife habitat, and forest yield is not yet known, but a mixture of species will minimize the risk of losing an entire stand. Even though some species in the mix are of less commercial value, this silvicultural strategy will maintain future options better than continuing to plant only commercially valuable trees susceptible to the disease. "Given the present rate of change in public sentiment toward forestry, and resulting changes in regulations constraining silvicultural practices, one may start to question whether the concept of a silvicultural system is even viable (Shindler et al. 2002). The context of the discussion often changes too rapidly for systems to be fully implemented, tested, and understood. Environmental issues change rapidly, and new regulations proliferate must faster than the typical cycle of thinning or harvest of an even-aged stand. From an even broader perspective, potential climate change and human population growth almost guarantee that the objectives guiding the design of current silvicultural systems will be modified. "Numerous creative solutions have been proposed for meeting concurrent commodity and amenity objectives, but many of these are silvicultural treatments designed to produce certain stand structures over a relatively short term. These innovative treatments are often not well integrated into comprehensive silvicultural systems. A given treatment may be designed to produce a certain type of stand or vegetation structure, but the longevity of that structure and the future dynamics of the stand may be only superficially considered and understood. For example, it has been proposed that groups of trees or single trees be left after harvesting of even-aged stands. These trees are intended to provide structural diversity in the next stand and help certain organisms survive from one stand to the next. However, it is not clear how the trees around these groups and individuals should be managed. For example, should they be thinned or underburned? The practice raises other questions. Is it necessary to carry over young trees in stands being managed on short rotations? If so, what species and how many trees should be left? Finally, it is an open question whether those trees will actually function as intended for conserving biodiversity." John C. Tapeiner II is Professor Emeritus in the Department of Forest Engineering, Resources, and Management at Oregon State University. Douglas A. Maguire is the N.B. and Jacqueline Giustina Professor of Forest Management in the Department of Forest Engineering, Resources, and Management at Oregon State University. Timothy B. Harrington is a Research Forester for the Pacific Northwest Research Station, USDA Forest Service in Olympia, Washington. John D. Bailey is an Associate Professor in the Department of Forest Engineering, Resources, and Management at Oregon State University. Who knew airport layovers could foster so much creativity! 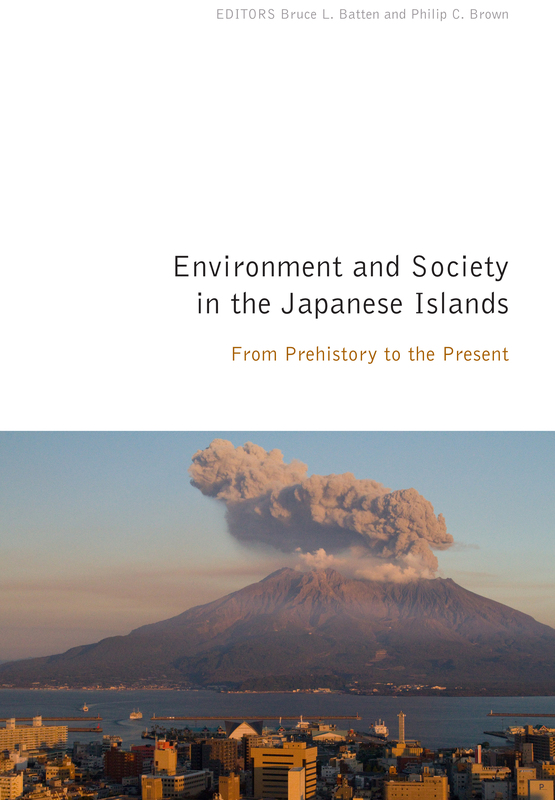 Co-authors Bruce L. Batten and Philip C. Brown join us today to chat about the inspiration and processes behind their new book, Environment and Society in the Japanese Islands: From Prehistory to the Present. Both well-respected historians in their fields, Batten and Brown collaborated to offer readers a fascinating glimpse into the complex connection between humans and nature, and how that relationship has changed over time. Q: Can you remember a particular moment or memory that prompted you to study the topic of environmental and societal patterns, particularly in the Japanese Islands? PCB: I came at this via my study of early modern Japanese agriculture and its sensitivity to drought, cold, and excessive water. That led to my second book on how villagers socially engineered a solution—joint ownership and reallocation of arable lands in ways very sensitive to micro-climatic and topographic variations. BLB: I grew up amidst Oregon’s spectacular natural scenery and like many other (current and former) residents of the state have always had a strong interest in environmental issues. I studied geology and paleontology at the University of Oregon before moving on to Japan language and history. I had always wanted to put my various interests together, and this project was what finally made it possible. So I’m thrilled. Q: What brought you together to work on the project? Had you known each other as colleagues before the book? PCB: Usually time between planes in airports is pretty dead, at minimum quiet and solitary. However, our meeting for the Bozeman conference gave us our first chance to actually meet face-to-face after a number of years of exchanging e-mails. Since our travel schedules meshed, especially on the return, we had a lot of time to begin to develop ideas for what ultimately became Environment and Society in the Japanese Islands. Several trial runs and a wonderful Hawaii conference later, here we are. Most productive time I ever had while in an airport! BLB: That’s about the size of it! Q: Were there any memorable moments during your travels for research? PCB: Although my interest in the relationship of farm communities to their natural surroundings has been long-standing, my particular interest in floods was sparked by photographs of 1950s dike construction in the Shinano River, Japan's longest. Looking for other documents in Tokamachi, a small Piedmont town in Niigata, someone brought several boxes of old photographs in to the documents preparation room. The home of a local photographer's family had been destroyed by the 2004 Chu-Etsu earthquake. While the photographs had been rescued -- a trove dating back to the very early 20th century -- the family could no longer keep them and donated them to the library. Among the images of a fire that destroyed the town, streets buried so deep in snow that people used entrances on the second floor, and more, were images of building flood control dikes that looked very much like those that would have been built a hundred or more years before that time. How could Japan, which had gone through such dramatic economic and industrial transformation that it became a world power, continue to rely on old technologies of flood control? With that began my current work on Japan's changing response to flood hazards, and which marked my transformation into an historian of technology and the environment. BLB: I have lived in Japan for more than 30 years, so I can’t really say that I “traveled” during the research for this book. But I can relate some of my feelings about Japan’s natural environment. When I first came to the country, I had heard about Japan’s beauty and was expecting a lot. Frankly, I was disappointed because there were people and signs of their activity everywhere. Of course, that’s hardly a bad thing, but I was really hoping for more pristine scenery, such as one might encounter in Oregon. Later I learned to appreciate Japan’s “built environment,” which is the result of millennia of interaction between human beings and their natural surroundings. That interaction is the theme of this book. PCB: In addition to the monographic project noted above -- how Japan’s approach to dealing with floods has changed over the past two centuries, and the relationship between these developments, Japan’s economic transformation, and military expansion -- I’ve committed to edit two other books. One deals with science, technology and medicine in Imperial Japan, the other on East Asian environmental history that will include China and Korea in addition to Japan. Both are rather new fields for East Asian studies and it is exciting to be making a contribution to their growth. BLB: I’m writing the chapter on “Climate and Environment in History” for the forthcoming Routledge Handbook of Premodern Japanese History. Once that’s finished, I intend to return to a long-standing commitment with another press to complete a history of Japan from a global environmental perspective. Also, in order to avoid the tunnel vision to which scholars are prone, I intend to continue reading voraciously in fields unrelated to Japanese history. Cross-fertilization among disciplines is the key to new insights, and I often get new ideas while reading—or doing—things that have no apparent bearing on my current research. Bruce L. Batten teaches Japanese history at J. F. Oberlin University in Tokyo, specializing in the ancient and medieval eras. The former director of the Inter-University Center for Japanese Language Studies in Yokohama, Batten is also the author of To the Ends of Japan: Premodern Frontiers, Boundaries, and Interactions and Gateway to Japan: Hakata in War and Peace, 500 – 1300. Philip C. Brown, a professor of history at The Ohio State University, specializes in early modern and modern Japanese history, focusing on developments affecting rural Japan. His previous publications include Central Authority and Local Autonomy in the Formation of Early Modern Japan: The Case of Kaga Domain and Cultivating Commons: Joint Ownership of Arable Land in Early Modern Japan. Like the smell of rain on wet pavement or the taste of a good microbrew, Douglas fir forests seem patently Oregonian. Trees feature prominently in our landscapes, in the Capitol building, and even on our license plates. Today, many lobbyists and citizens push for the conservation of old-growth forests that preserve such an iconic and integral aspect of our state. But forest conservation hasn’t always been at the forefront of Oregonians’ concerns. Science historian Emily K. Brock joins us today to share a bit of conservation history within the Beaver state. 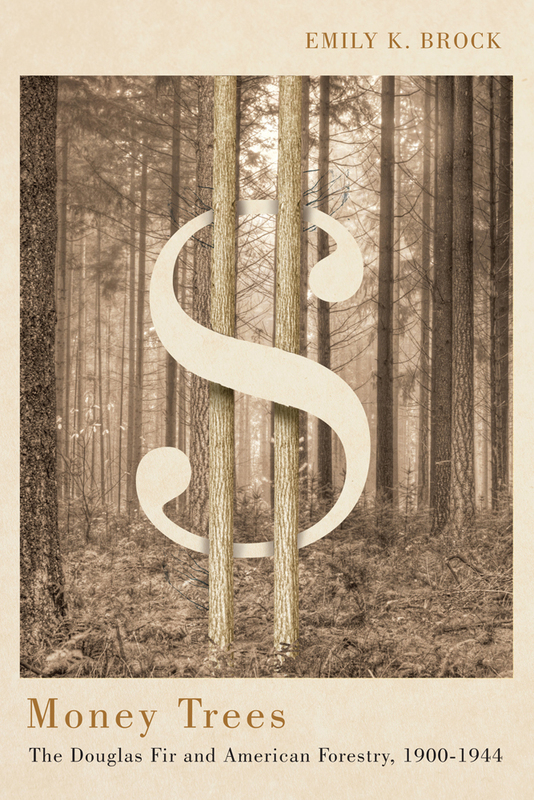 Her new book, Money Trees: The Douglas Fir and American Forestry, 1900 – 1944, explores patterns of forest management and the complicated correlation between humans and nature. If you look at satellite images of southwestern Oregon today, you can make out faint traces of a gigantic checkerboard design etched into the forest. The checkerboard is a still-visible remnant of management decisions made in the 1860s. The persistence of the checkerboard, and its relation to conservation, is a reminder that when you hike through an American forest, you are always walking through a landscape created by past decisions. Foresters, loggers, landowners, politicians, regional planners, and many others have made decisions or taken actions that impacted forests. Whether to log, plant, or preserve, those forest management decisions will carry over to the present day. Because forests take so long to grow, decisions they made can resonate in the forest for decades, even centuries, into the future. We can find an example of the value of forest history in the famously contentious case of the Northern Spotted Owl. Knowing the historical background of the case gives a new insight into why the owl became so threatened, and why conserving it became not just ecologically difficult, but economically and politically difficult too. This story begins in 1866, when the federal government granted public domain lands to a company called the Oregon and California Railroad to build a rail link between Portland and California. These lands, like most railroad grant lands of the time, were divided into a checkerboard in which the railroad received every other square. In the case of the O&C, their checkerboard squares were mostly thickly covered with intact Douglas fir forest. Generally, as a railroad grew, it would sell off such grantland to raise revenue. However, due to various legal and financial difficulties, little of it was ever put up for sale. The forests eventually came under the control of the General Land Office, but remained mostly unlogged and undeveloped. It was not until the late 1930s that the checkerboard survey would really have an effect on these forests. With the aim of showing how methodologically sophisticated his department was, the Secretary of the Interior Harold Ickes spearheaded an effort to enact advanced system of forest management on the lands through the 1937 O&C Act. The checkerboard soon became an experiment in sustained-yield forest management and rural planning. Those property lines caused more trouble than anyone expected when the checkerboard was first drawn. While the public squares of the O&C lands are now controlled by the Bureau of Land Management, the successor agency to the General Land Office, the private squares have met various fates. Some are still managed for timber, some have been developed for agriculture or settlement, and some were incorporated into the BLM holdings through land swaps. The O&C Act contained stipulations that county governments benefited more from O&C logging than from logging activity taking place on, for example, National Forest land. Instead of the 25% of gross receipts received from national forest logging taking place within a county’s borders, the county would receive 50% from O&C logging. Many of the eighteen “O&C Counties,” with O&C checkerboard land in them came to rely heavily on that revenue to finance county infrastructure, buildings, and government services. Further, many residents of the counties found steady, well-paid employment in the lumber industry. Compounding the issue, the Bureau of Land Management habitually authorized more logging, and regulated it less, than did the U.S. Forest Service. As Forest Service regulation became more stringent in the latter half of the twentieth century, the logging on the O&C lands became more lucrative for logging companies to pursue. The rate of logging on O&C lands authorized by the B.L.M. was often well above what sustained yield calculations would have specified. Eventually the overcut would have forced the O&C Counties to a reckoning, but before that day arrived, a little gray owl changed the rules of the game. The Northern spotted owl is a small, shy owl which lives in Pacific coast forests, and which depends on natural Douglas fir or coast redwood forests for nesting, foraging, and roosting. Its population levels had dipped low enough by 1990 to be federally designated a threatened species. In the years following this designation, scientists predicted that the owl would go extinct if any more of its habitat was destroyed. The problem wasn’t just the acreage of habitat, but the fact that the owl didn’t like to nest close to buildings, roads, or any other sign of human development. While over seven million acres of federally-owned old-growth Douglas fir forest still remained in the Pacific Northwest, much of that forest was in the form of the O&C checkerboards and other heavily-fragmented landscapes. These forests were already so fractured by human use that much of their acreage was not suitable for the owls. To save the owl from extinction, the federal government deemed further habitat fracturing had to be avoided. This meant a slowdown of logging in national forests, and an almost complete cessation of logging on the O&C lands. The O&C checkerboard design, which had initially been devised to promote economic growth and regional development, was now the very thing that necessitated a logging shutdown. Because local governments in the O&C Counties had grown dependent on revenue generated by B.L.M. lumbering, the shutdown affected not just those employed by the lumber industry but all citizens of the counties. Local anti-environmentalist sentiment rose as the full ramifications of the 1994 Northwest Forest Plan unfolded. The changes do seem to have slowed the decline of owl populations, although the species now faces new threats to its existence. The residents of the O&C Counties had been pawns in the struggles between private companies and federal government since the 1860s, when their forests had first been gridded with the surveyors’ checkerboard. The federal government reversed the promises of the O&C Act, grounded in 1930s ideals of sustained-yield forest management, in order to enforce the Endangered Species Act, grounded in 1970s ideals of conservation biology. Victims of historical shifts in government goals, environmental values, and scientific agendas, the O&C Counties have still not fully righted themselves from the economic tumult of the twentieth century. As the example of the spotted owl shows, to understand people’s relationships to forests, it helps to know not just what is going on in them today, but also their history. My new book, Money Trees: The Douglas Fir and American Forestry, 1900-1944, is about management of Douglas fir forests, but also about the ways the challenges of managing the Douglas fir forests of the Pacific Northwest influenced the profession of American forestry. The history of the O&C Lands is one part of this bigger story of forest management in this region. Knowing forest history can deepen our knowledge of these landscapes, and aid our understanding of the complex relationships between humans and forests. Emily K. Brock is a historian whose research focuses on American natural resource management and the interconnections between industry, science, and conservation. After receiving her Ph.D. from Princeton University, Brock went on to teach at several academic institutions, including Stanford University. She currently serves as a research scholar at the Max Planck Institute for the History of Science in Berlin, Germany. Money Trees is her first book. Checkerboard Landscape: The checkerboard patterning, a legacy of the O&C Railroad land grant, is still apparent in this contemporary Google Earth satellite image of the forestland directly west of Cottage Grove, OR. 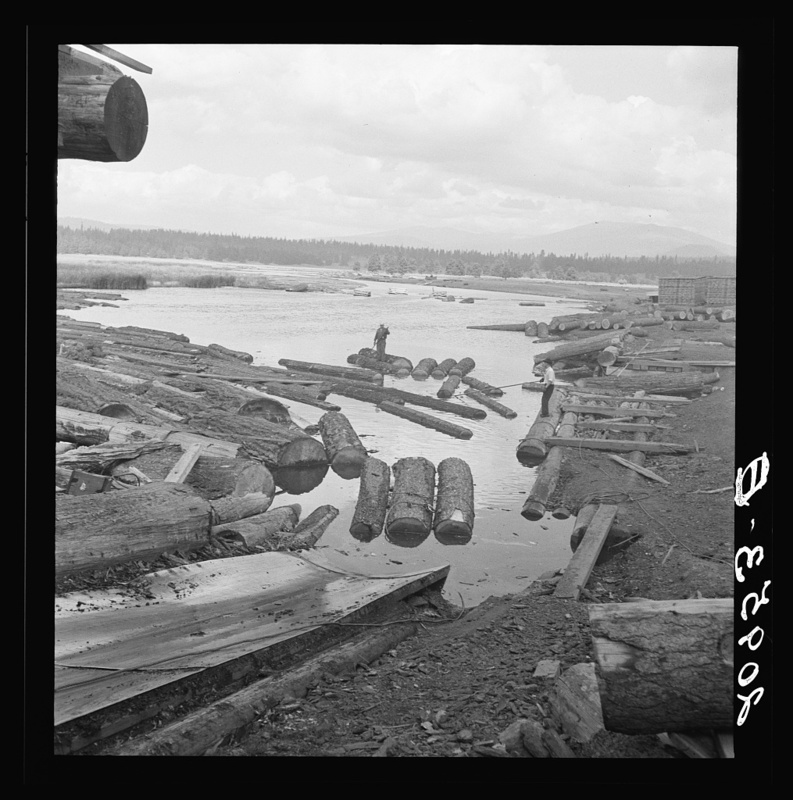 Klamath Log Chute: Log rafts on the edge of the Klamath River in 1939, near the small town of Keno, OR. Photo by Dorothea Lange. Library of Congress reference LC-USF34-020953. Time for a little history lesson. Did you know Oregon has an official state flower? It’s the Oregon grape. How about an official state dance? We do indeed: the square dance. And what about our state book? No idea? Perhaps that’s because we don’t actually have one. On March 23, The Oregonian’s editorial board created waves in the literary community by asking readers which title could be considered the state’s official book. Although no movement exists to push for such a thing, the editors were inspired by a recent bill in Mississippi that offered the Bible as the state’s official tome. Suggestions quickly poured in as passionate readers defended their favorite titles and debated definitions and potential categories. In the end, Ken Kesey’s “Sometimes a Great Notion” emerged as victor, having garnered the most overall votes. Yet the beauty of the literary conversation lies not in its final consensus, but rather the extreme variety and quality of books suggested. Poignant classics and new favorites were unearthed to share the spotlight – including several OSU Press titles! 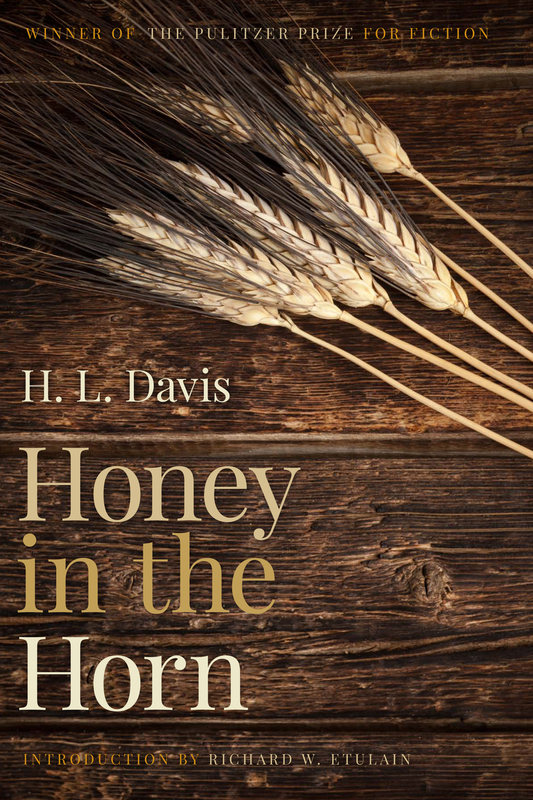 Honey in the Horn, the only Oregon novel to win a Pulitzer, follows the story of orphan Clay Calvert as he journeys across the state in the early years of the twentieth century. Many of those who weighed in during the debate suggested Davis’s book, citing its unparalleled portrayal of the indomitable and restless Oregon spirit. You can discover its unique beauty for yourself this June, when OSU Press releases a reprinted edition, complete with a new introduction from historian Richard W. Etulain. But Honey in the Horn wasn’t the only OSU Press title to receive some love from readers. Below are several of the suggested books, along with users’ comments. Books represent large undertakings. The writing process is arduous, the time lengthy, and the research often difficult, even dangerous. So what leads authors to pour their hearts and souls into such laborious work? Author Kurt Fausch joins us today to share what drove him to create his recently published book, For the Love of Rivers. Staying true to his scientific background, yet venturing into the connection between nature and emotion, Fausch offers his audience a book that reads much like a journey—and today, he invites us to come along. Why would a scientist write about love for rivers? Don’t scientists normally stick to the facts? I became a fish biologist, and later a professor of stream ecology, so that I could do the studies needed to provide answers for the field biologists and natural resource stewards who manage fish and the streams and rivers they inhabit. Along with teaching students about these ideas, and working together with graduate students and other researchers on these studies, this is really all I ever wanted to achieve. Somehow, along the way, I became drawn into a deeper relationship with the streams and rivers I was studying, the colleagues I was working with, and the need to communicate both the science and these emotions to others. In For the Love of Rivers: a Scientist’s Journey, I draw the reader into an international research collaboration with Japanese stream ecologist Shigeru Nakano and his colleagues. Nakano and I developed a deep friendship fueled by a common passion to immerse ourselves in streams, literally (by snorkeling), and understand how the native charr and trout in northern Japan and northern Montana coexisted in the same habitats in streams without driving each other extinct. Shigeru went on to do brilliant large-scale field experiments covering streams with mesh greenhouses to show how the insects emerging from streams into the riparian forest, and those falling into streams from the forest, created key connections that fed animals in both ecosystems. Cutting these off with the greenhouses made half the fish in the stream, and most of the bats and spiders in the riparian forest, disappear! But when Nakano was killed while visiting the field site of another scientist in Baja California, it set me back and I began to ask what was most important in my busy life as a researcher and teacher. The loss of streams and fish that we were recording in several other studies, and our predictions of what we stand to lose based on those studies, loomed large in my thinking. One day, out of the blue, former student-turned-filmmaker Jeremy Monroe (founder of Freshwaters Illustrated) approached me about making a documentary film on Nakano’s life and amazing career. His idea was to draw the public into an engaging story, and teach them about how streams, fish, and their strong linkages with riparian forests work. I was skeptical at first, but after the film had been beamed to more than 100 million homes on PBS stations, I realized the power of stories that include the emotional connections among scientists in capturing the attention of everyday people and providing a means to communicate complex science. 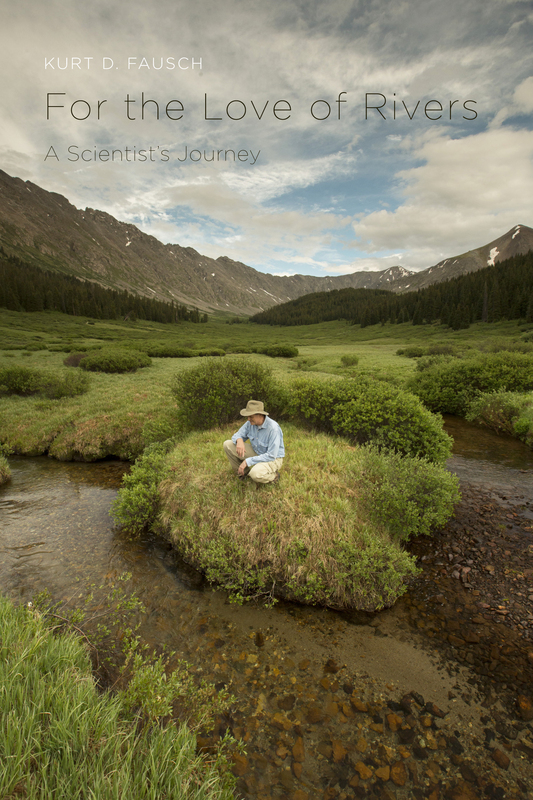 I decided to write my story -- of streams and the scientists who study them. But when I thought about what would move people to actually want to conserve these beautiful ecosystems, I realized that I needed to move beyond the science of streams, and even the science of why humans are attracted to the sights and sound of running waters. Stephen Jay Gould, the famous evolutionary biologist and great communicator of science, wrote that we only save those things that we love, and we only love those things with which we develop a deep emotional bond. In the end, I needed to take the risk to explore what it is that I love about rivers, even as a scientist who has been trained to study them objectively and focus on the cold, hard facts. While not ignoring the importance of science to conserving rivers, I realized that I needed to move beyond this science if I wanted to inspire others to keep striving to understand what is essential about rivers to us as humans, and keep working with others to conserve them. Kurt Fausch is a professor in the Department of Fish, Wildlife, and Conservation Biology at Colorado State University, where he has taught for more than 30 years. Collaborative research has taken him throughout Colorado, much of the western U.S., and worldwide, including to Hokkaido in northern Japan. A recipient of numerous awards from the American Fisheries Society and the World Council of Fisheries Societies, Fausch is a respected professional in his field. For the Love of Rivers is now available on our website or by calling 1 (800) 621-2736. Watch a full trailer for the book here.